Azolla filiculoides is a herbaceous species of plant in the family floating ferns, with a self-supporting growth habit. It is a photoautotroph. Definition: A paddy field for the cultivation of rice. 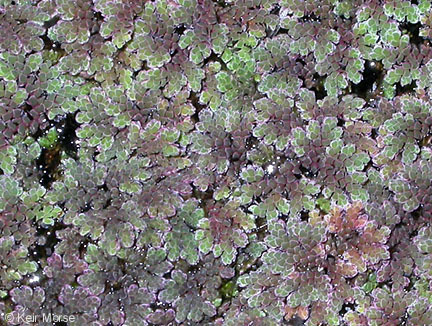 Azolla filiculoides var. rubra (R. Br.) Strasb.